Chanting is a Spiritual Practice—the medicine for the Aquarian Age. Every yoga tradition describes chanting The Name (of God) as the essential practice for the Aquarian Age. Join us for an interfaith circle of chanting and meditation. Chanting makes people happy; and happy people make the world a better place. Join us and change the world! 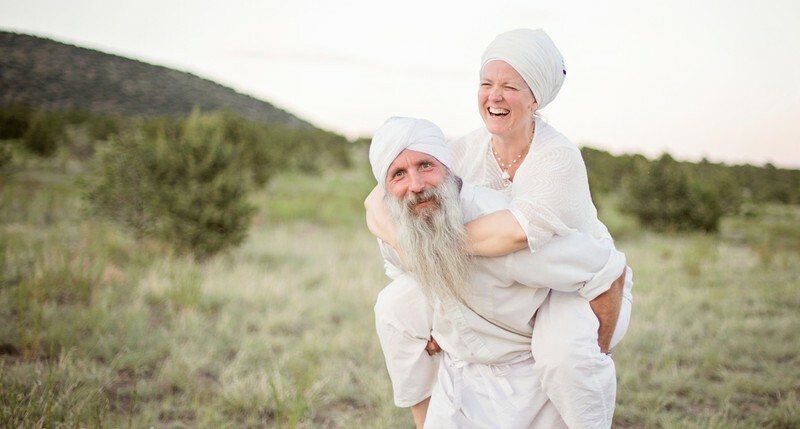 Sat Purkh and her husband Abhai Raj originate from the US and are touring to Australia to share their wisdom, love for kundalini yoga and teachings of chanting and sound vibration healing with music. Join us for a very special community evening of singing, chanting and music.